I have been on a collar making binge these past couple days. The pads of my fingers ache like crazy! 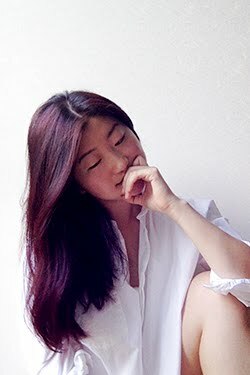 I've been seeing collars everywhere, from cut-out button down collars to ones made of lace appliques. I love how DIY-able they are. 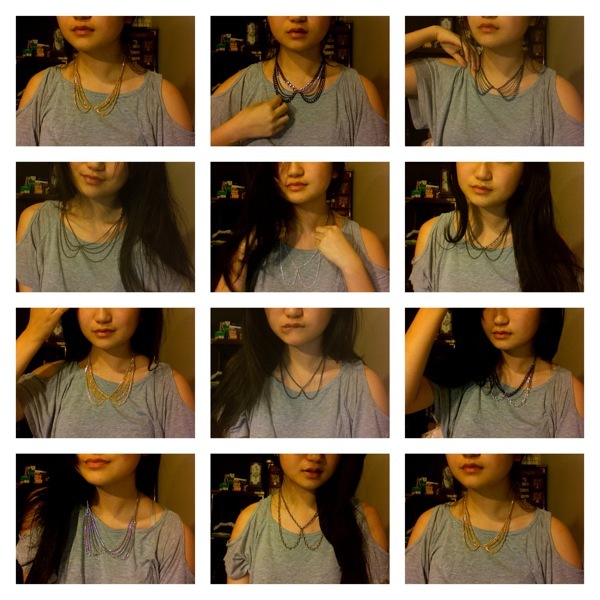 After spending $12 or so on a pearl collar necklace at H&M, I wanted to try and make some collars myself. Because I have always been one to overkill, I made 12. I don't have a 'for sure" tutorial for this... but this is pretty much the gist. I guess that is the beauty of collars, you can use whatever chain you want in whatever length in whatever size. Some of the collars I made were from scrap pieces of chain I had laying around. Some of the brass ones are made from chain I still had from a trip to Korea years ago. After the ninth or so one, I guess I went a little crazy with my combos. First off, I measured how long I wanted my necklace to be and added my clasps. Right in the middle I attached a jump-ring and added the two lengths of chain that were going to be the collar. Then I attached the ends to the necklace length. I kept all my necklaces symmetrical, but it might be fun to make one side a lot longer? Maybe? On a couple of the necklaces, I ended it here. For others, I 'filled' the chain in, which meant I had to measure out and cut various lengths of chain. It is a lot of measuring and holding up to my neck to figure out if the lengths were okay. You can always get more fancy, mix metals, add strings of pearls or beads, make everything out of seed beads, stud it out, sequin it out, add lace, twist some embroidery floss, add charms, add spikes.... the options are endless. 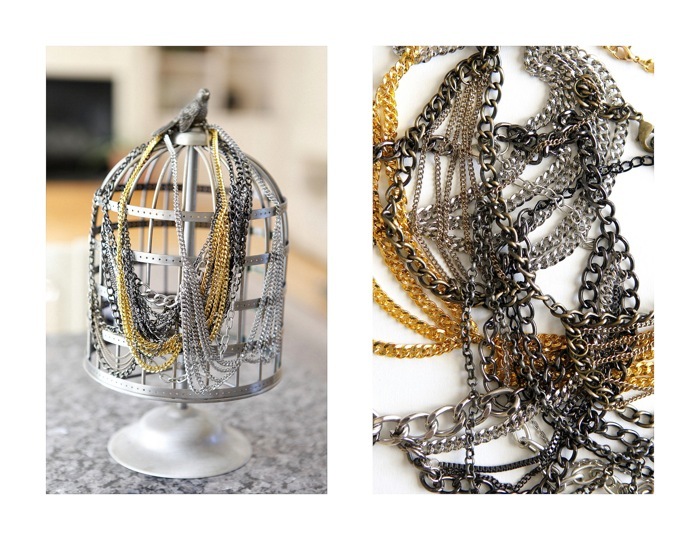 They can be worn high or low as long as your lobster clasp can fit through the chain. I love it! Can you show other collars you made? It does look good under the conditions that you're wearing it with an appropriate dress. Where do you buy your materials??? These all look so pretty. I love the black chain. Awesome! Thanks for this tutorial! 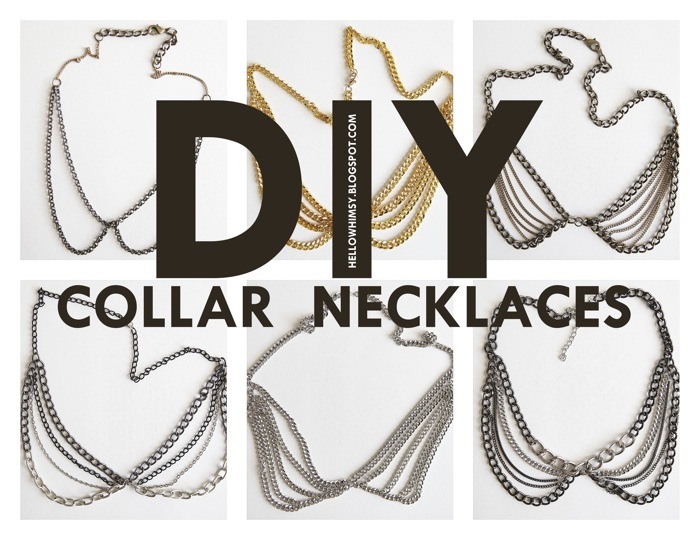 I am in love with these collor style necklaces, and I have to say, for do it yourself projects, you did an incredible job. I like the gold color over the silver though. What can I say, I have always loved the shimmer that gold has to it. Suppose, you can create your own personalized necklaces with your children's names or a special phrase or date.